13 inch, 15 inch and 17 inch MacBook Pro Unibody repairs and upgrades! Creative IT, based in Central London in the UK has a team of professional Apple Mac repair specialists to handle and troubleshoot all sorts of hardware and software problems you come across with your 13 inch, 15 inch and 17 inch Apple MacBook Pro Unibody laptops. Our team of Mac repair technicians has the skills to troubleshoot and repair any fault related with MacBook Pro Unibody laptops with quick turnaround time. 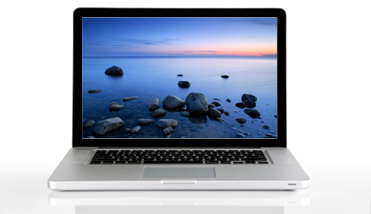 Call one of our Apple MacBook Pro Unibody repair specialists today for a competitive quote. For more information about our London 13 inch, 15 inch and 17 inch MacBook Pro Unibody repairs and upgrade services in the UK, please contact us at 020 7237 6805 or send us an email at info@creativeit.tv.